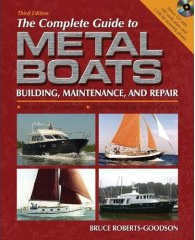 We have in the past designed a few Houseboats and now we find a renewed interest in this type of boat. If you are interested in having a HOUSE BOAT designed to suit your requirements then EMAIL BRUCE outlining what you have in mind and we will do our best to come up with a design to suit you and your family. Below are shown two of our more recent HOUSE BOAT designs as you can see they are quite different in concept ... so let us know YOUR ideas and we will take it from there ! Several of our TRAWLER designs could be re-configured into a self propelled HOUSE BOAT that you can build in either STEEL, ALUMINUM, FIBERGLASS or WOOD EPOXY. We look forward to hearing YOUR ideas ! 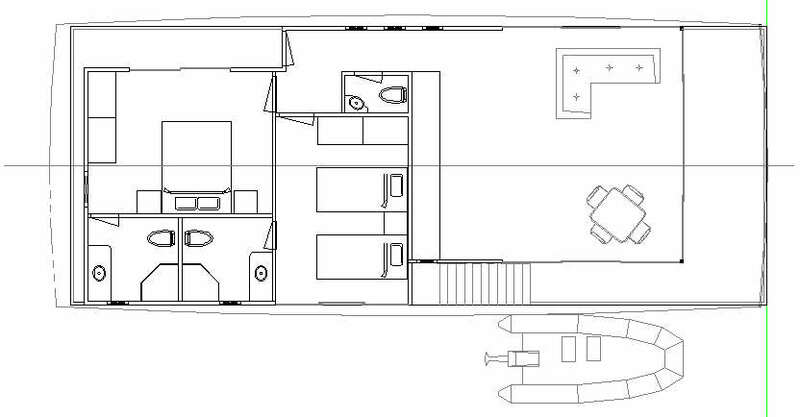 Here we see how you can build a mobile houseboat on a suitable trawler hull. The TY 620 houseboat could be powered by twin outboards, stern drives or Yacht drives ... the amount of horsepower would depend on the type of cruising you have in mind as well as general operating conditions that prevail in your area. 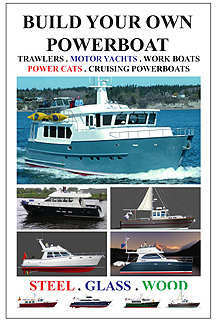 Several of our TRAWLER designs could be re-configured to a self propelled HOUSE BOAT which you could build in STEEL, ALUMINUM, FIBERGLASS or WOOD EPOXY. this TY 620 houseboat in either ALUMINUM, STEEL & FIBERGLASS. LAYOUT OF SINGLE STORY VERSION. INCLUDES ALUMINUM & STEEL OPTIONS. 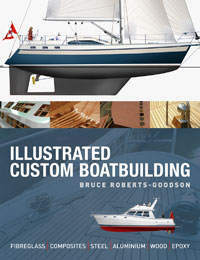 Complete boat plans and building instructions are available for �595.00 Plans cover both single story and two story models.